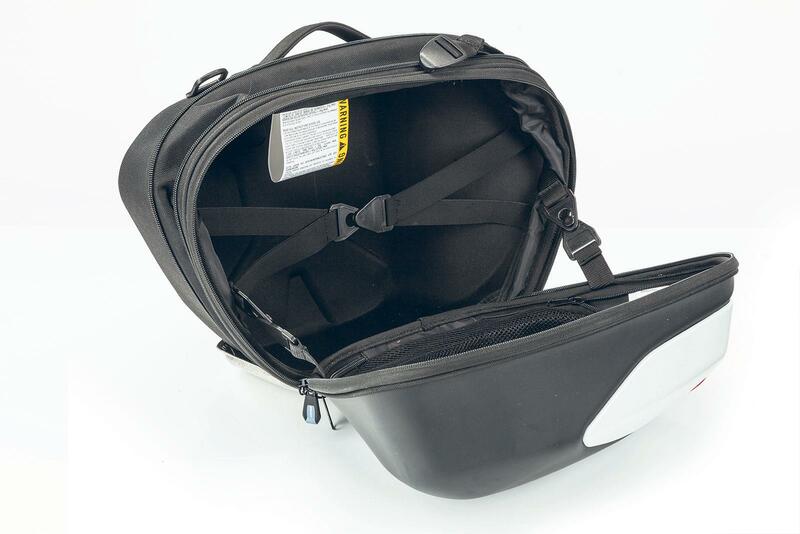 These panniers aren’t cheap, but they ooze quality and look great on the Ducati SuperSport, here’s how I’ve found them after 2000 miles. 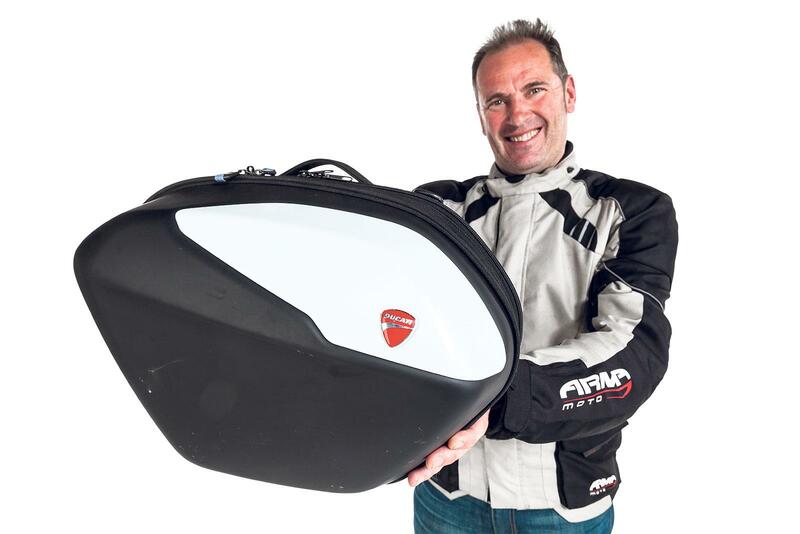 There’s nothing worse than having a good-looking bike and then putting ugly luggage on it, so these stylish panniers offered practicality without making the SuperSport S look like it had fallen out of the Ugly Tree and hit every branch on the way down. The colour-coded panels look ace and they are rigid enough to keep things safe inside. They took about an hour to fix, with a rack that bolts onto the rear footpegs. They extend to 25 litres each, but I did not need to use the expansion chambers for a week away recently (although I did also have tankbag in place). They click securely in place and can be locked onto the rack too. The handles make them easy to carry around and internal netting and straps also make them incredibly useful. The right-hand side pannier has a heat guard, to stop the exhaust taking its toll and that has worked well. 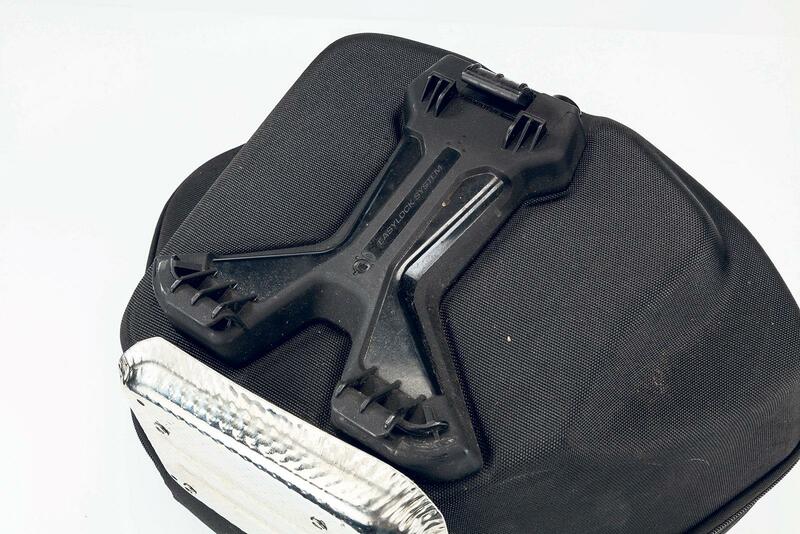 There are also waterproof covers that slide over neatly and stay in place with a securing strap. During a 1300-mile trip to Scotland and back, they stayed in place beautifully. 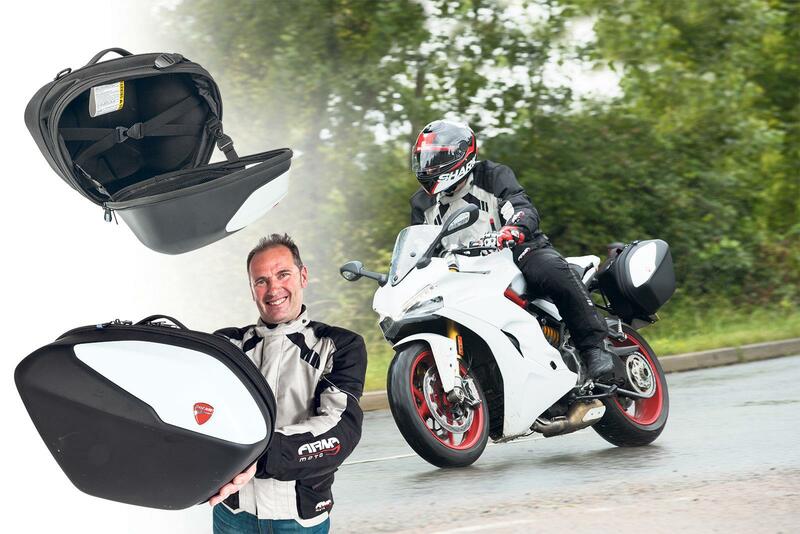 A set of semi-rigid panniers can cost as little £250, so these aren’t cheap. But, they ooze quality and look great. Despite using the waterproof covers, I did notice a tiny amount of dampness.